If you doubt The Biz Bucks Guy, you should read Bjorn Lomborg’s referenced piece above. 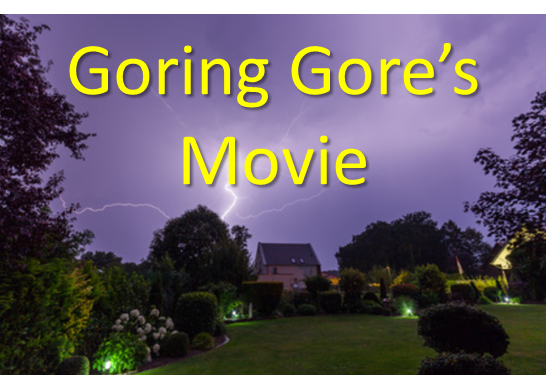 Once again, the truth about Gore’s version of the truth comes out. Consider Lomborg’s simple analysis of the cost of the Paris Accord versus its benefits. For reference, Lomborg believes in global warming, just not the hysteria surrounding it. The cost of the Paris Accord is about $2 Trillion PER YEAR…largely forever…much of which is front-end loaded upon the good ol’ USA, with many other countries contributing decades later. Using their own models, the improvement in carbon dioxide emissions will be some 60 gigatons between 2016 and 2030. The enviros say we need a reduction of 6000 gigatons to save the planet. So, using the enviros own models, Paris will do largely nothing except expend an astronomical sum of America's resources. Make great sense, huh? In a word, no. Read Lomborg for more information. It is not a pretty sight to see Al Gore and it's not a pretty sight to know how unrealistic he is. He will make a boat load on this movie, perhaps he can float on the ever increasing ocean levels with it. As you may have noticed, The Biz Bucks Guy has been taking some time off from posting on The Biz Bucks Blog. He has been finshing the manuscript for his novel, The Red Saguaro, exposing the soft underbelly of our nation's infrastructure. Now the hard part: finding a publisher. To receive email updates when a new post is made, please enter your email address in the box below and click Subscribe.